My room is very small, so where to put things is a real issue for me. 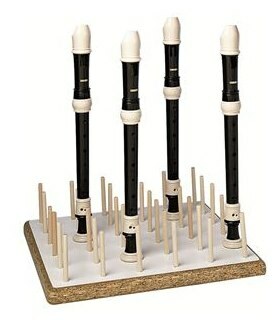 I liked the recorder stands that I saw in catalogs, but they were around $50 each. I was at a workshop and a lady had made one and was kind enough to tell me how she did it. So, I went to Home Depot and got a long white pressboard. I had them cut it into 14 inch boards and got three boards, plus an extra small one, on which I keep my personal recorders plus extra ones for new kids who come into the class midyear. I marked 36 spots with dots on it and had one of my neighbors who had a drill press drill the holes. The dots were about an inch from the edge and 2 1/4 inches apart. I bought 1/4 inch wooden dowels and marked them for 3 1/2 inch lengths and that same neighbor cut them. I sanded the end that would be sticking up and glued them in the holes with wood glue. They are fabulous, and it only cost me $12 (more if you have to buy the wood glue)!! I have numbers on my recorders and my three stands sit on my piano. 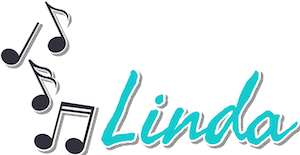 Each student is assigned a school recorder that stays at school. I have my seating chart with each student’s recorder # listed in their assigned spot. The students have the option to buy a recorder for home use for $5. About 3/4 of the kids end up buying a recorder. During the year, I sometimes move students if their spot is not working, but I usually don’t move the recorder since they have gotten used to where their spot is. 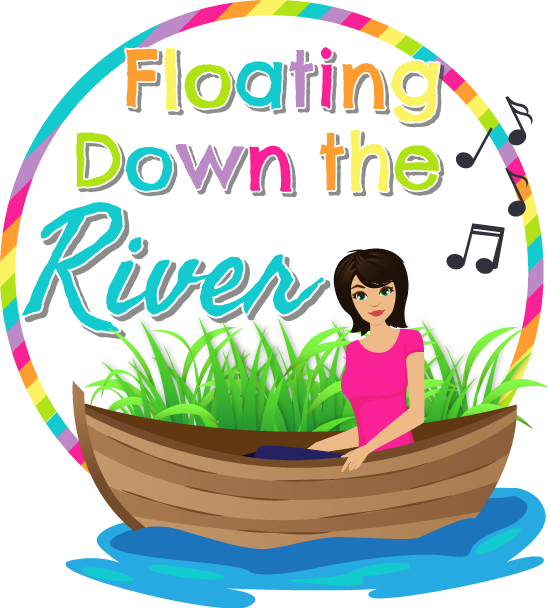 Some students don’t put away their recorder properly, so sometimes kids have a hard time finding theirs, but we don’t sweat it too much. It seems to work pretty well. I have three 5th grade classes. I put papers on them that have the seating chart with numbers to help students remember their numbers. 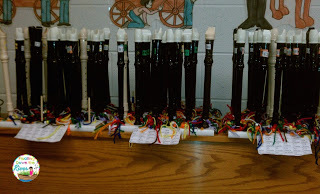 I made a black belt recorder system that my 5th graders love. 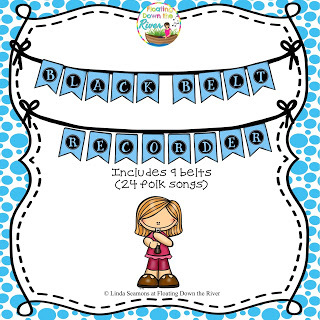 I just use yarn and pony beads as they pass off songs. See how I organize my recorder music, yarn and beads HERE. 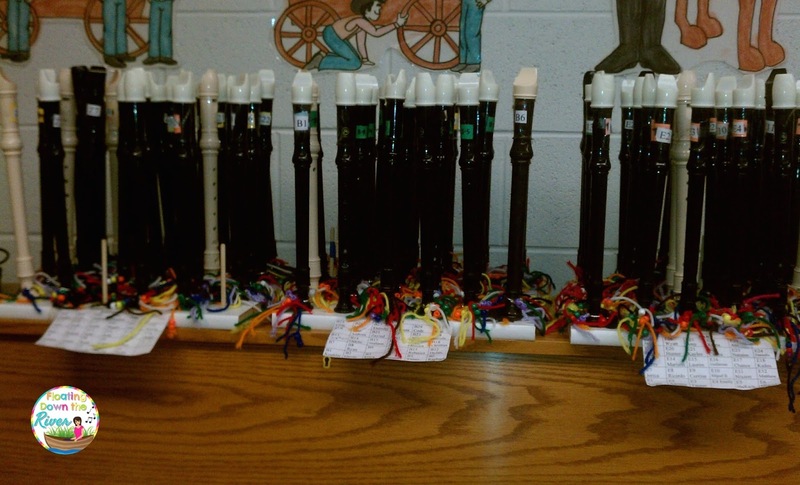 The kids love seeing their recorders become very colorful. 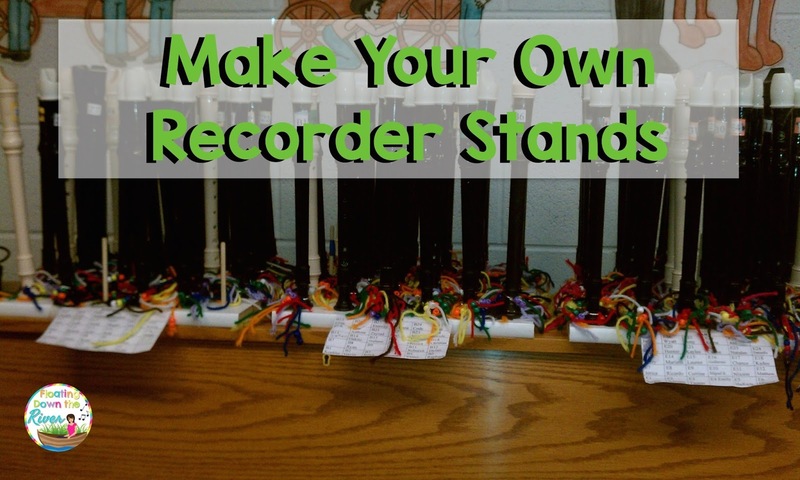 See my post about how I start recorders with my students HERE.You can get my black belt system free. Get my FREE Black belt system HERE. 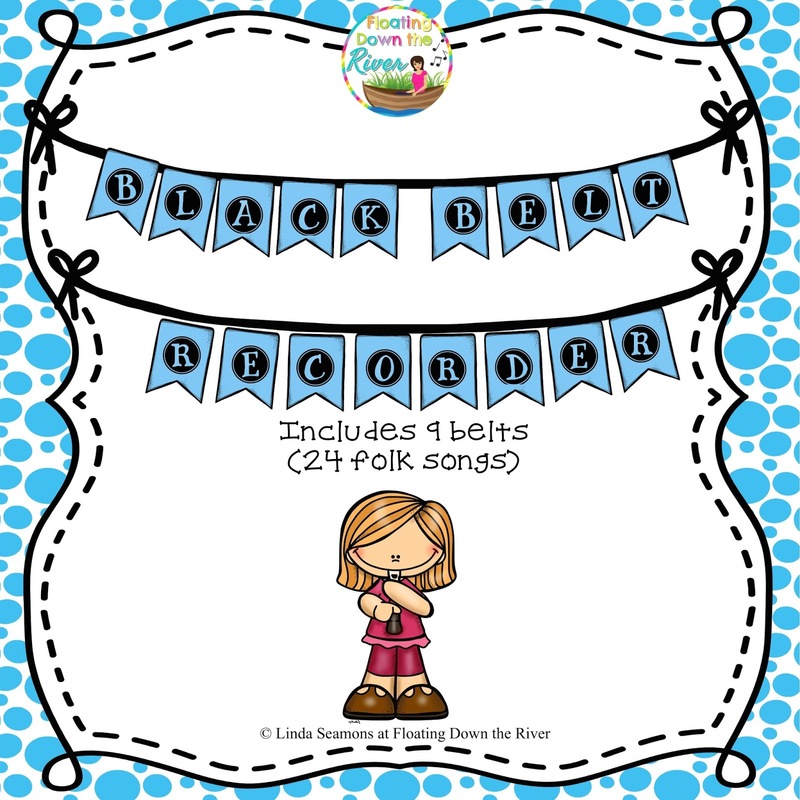 If you want to go even further to challenge your students, get my Mega Recorder belt system that goes beyond the black belt with 70 extra belts, charts on which they put pictures for the belts they pass off, games and more. Get it HERE. Anika, Sorry that I just saw this post! I am so glad it is helping you! I will see you at the chapter meetings this year!